Not many of us admit it but we have all the knowledge to enhance our lives and businesses. The only problem is that we stop at knowing and not do anything about it at all. Successful business owner Catherine Bell’s passion is working with numbers. She invites us to keep track of what we know so that we can work on them. 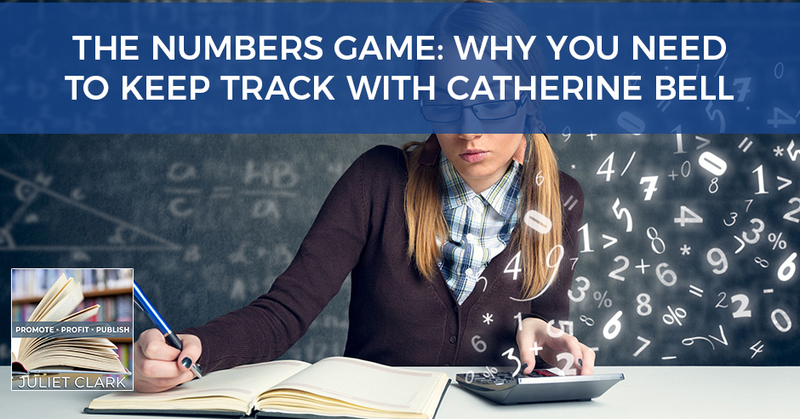 Catherine talks about why business owners should work on their business instead of in, why they should be present to their members, and why they should track their income-producing activity. She also gives great insights and tips about cash flow while providing a look into her hedge funds and other activities as a disruptor. I’m so excited to have a good friend and guest on the show. Before we get started, I want to remind you to go over and take the Promote, Profit, Publish Quiz at PromoteProfitPublishQuiz.com. See where your skill set lies with platform building and everything you need to have a great platform for your book, business, product and whatever you do. My guest is Catherine Bell, who is one of my Inner Circle peeps, who I loved. She has a program that we’re all going through in Beta right now, us and several other people. We are just glowing about it. Catherine is a successful business owner and has been for years. 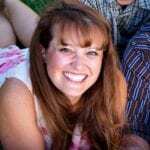 She is highly skilled at creating systems and structures for businesses and homes. Her expertise is taking small companies and growing them into multimillion-dollar enterprises, which she has done several of those on her own. She’s masterful at mentoring people to set goals and obtain extraordinary results through focused attention and performing income-producing activities. That was one of the big pieces of her program. It was like a wakeup call to some of the things I knew that I was supposed to be doing and that I had done in the past, but I wasn’t doing as much as I could have been. Working with numbers is her passion and every project she takes on are embraced wholeheartedly and with total dedication. She’s committed to empowering people to take ownership of their businesses and to run them by the numbers, not their feelings, which so many of us do. She is the Director of a very large hedge fund as well, which is separate from what she does, but I think it’s proof about her credibility in the marketplace that she does that. I’m excited to have you. Tell us a little bit about your program because it’s stunning to me all the comments I hear in the group that we have this whole big group of women and none of them are doing what you teach, which was amazing to me. I’ve been in business for a few decades. I’ve done multiple financial courses from Dave Ramsey to Kiyosaki stuff to financial freedom, all these courses. I love all the courses. They are brilliant. Here’s what it comes down to for me like anything. We all know how to be rich and thin, but it doesn’t mean we are. The reason is why. Why is it not enough to know? Knowing is the booby prize. It’s all about what we do out of what we’ve learned. For me, out of all these years of being in business, again, what I’m clear about is that so many brilliant people out there, but the reality is if you don’t do what you know you need to do and you don’t track what you need to be tracking, you’re not going to be making a difference in the bottom line of your company. You talked about that. Most entrepreneurs and business owners are so busy working in their business that they’re not stepping back and working on their business. When we step back and we start working on our business and take that fifteen minutes a day to be looking at and tracking income-producing activity versus busy work. Making sure ours and our team’s calendars are aligned with that. Just shifting and doing that activity alone will add more commas to your bank account than you could imagine. That’s only one tiny piece of the courses as you know. The other piece that I think is critical is that most business owners and entrepreneurs, they’re present to their numbers in the sense of that they create budgets. Budgets are important. However, they look at them once and then don’t look at them again all year. What good was that? All that time you spent. What I’ve created and have been using and built all these companies with is a forecast and a projection into the future of what’s sold. We don’t create it from like airy-fairy, what you want it to be or all your feelings. We create like, “What’s sold right now and what’s going on?” It’s having a crystal ball into your future so that you can see six to eight weeks out ongoingly where your gaps are. 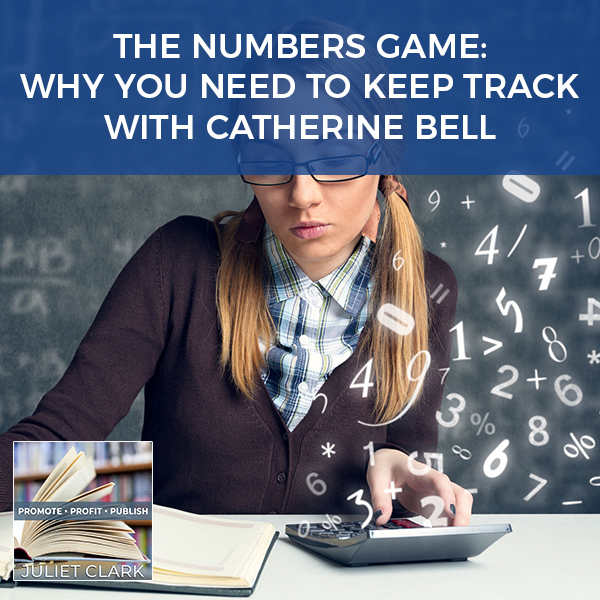 You’re tracking your income-producing activity and you know your effectiveness inside of that, you know exactly how much you and your team need to do in order to close those gaps that are coming forward. What it does is it puts you in the driver’s seat so there are never any gaps in your cashflow and there are never any surprises. Because you’re doing that, now you have this cashflow machine going and you can start building your net worth. You can start building what I call you’re safe to spend. Those are items that we all think about that are great ideas like your retirement. If you want to expand your business, putting all those into actual real time so that you have now had the money that’s there so that you can be doing those things not only in your business but personally as well. Keep Track: Money is like oxygen; the more you have, the easier it is to breathe. What I like to say is, “Money is like oxygen, the more you have, the easier it is to breathe.” What I see is people have money coming in, money going out and they look at their bank accounts like, “That’s how much I have or don’t have.” The reality is that there’s no actual concrete automated plan put in place so that they’re planning and building for the future. They’re only seriously living day-to-day, which is paycheck to paycheck or client to client. That’s not enough to build what they’re out and committed to be building and living the life that they love. They become slaves to this client to client or paycheck to paycheck mentality that we have. Coming back to because they’re spending so much time doing busy work, working in their business instead of income-producing activities working on their business. When business owners shift that, the increase of commas in their bank accounts is very exciting. I’m going to share with you. I have mine done out until a few months from now. It’s very interesting because December has traditionally been a very poor month for me. I am having a great month and I truly believe that it’s because I have all of this cashflowed out and I’m not thinking on a day-to-day basis anymore. I did the soul languages with a Sonya Nagy. Literally, I was on the phone and the $8,000 that has been caught up in this endless loop for two weeks came in while I was on the call. It was like that whole space of clearing it and getting it done. Probably the biggest piece was the income activities because I realized I am great at follow up. I put it on my calendar, but I wasn’t keeping track of how many times I have to speak to someone before I close them. I’m finding that a very helpful tool because it’s funny now that I’m doing it, I’m closing people on the first try, which it’s like, “I never realized I was that good at that.” It’s a helpful tool and I think helpful for everyone out there because then you can gauge, “Does it take me three touches? Does it take me four touches? Does it take me how many touches to close a deal?” That’s important to your cashflow as well. That’s great that you pointed that out because what I find is that when you not only track that, now you know your effectiveness of, “Do you have to touch them five or ten times to be able to close them?” All of a sudden you’re like, “Do I really want to have to touch them five or ten times? Why can’t I do it on the first time?” All of a sudden, our intentionality becomes hyperfocused and results start happening because we’re clear how much time we want to spend doing this before we can get onto the next. If you don’t track it, you don’t know it. Therefore, you’re basing it on your feelings, which feelings don’t give you accurate thinking. First, give you accurate thinking. If you have accurate thinking, now you know what needs to be done for you and your team to add commas to your bank account, and that’s the reality of it. It goes a long way when you’re talking about the feelings with the numbers. It’s the same way with marketing. A lot of times I teach you if you hire a marketing company and they’re saying, “It’s working,” but nobody’s buying, I invite you to go try to make your card payment with those clicks. “I have 100 clicks this month, can I pay with those?” Those are feelings. Those are results. I always consider you like my nerdiest friend because you’re the only person out there who would think that’s a compliment. Tell us what you’re passionate about it so that everybody in my world will understand why you’re my nerdy friend? 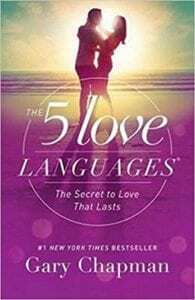 Have you heard of the book, The 5 Love Languages by Dr. Gary Chapman? The sixth love language of mine is numbers and spreadsheets. If I could communicate and numbers and spreadsheets rather than words, life would be so much better. If I could have my teenagers function inside of spreadsheets, that would be awesome. They’re all over the place. What are three tips you would give to entrepreneurs or business owners? The three tips I would give is for them to seriously look at their calendar. I highly recommend time blocking instead of running your business by your feelings when you’re intentional about that. Make sure your time blocking is blocked out and you’re clear what your income-producing activity is, what your busy work is and that your calendar is filled with 80% of income-producing activity. Hire up the busy work to virtual assistants or somebody else. There are lots of people that Juliet knows, that I know have you hire these virtual assistants, but you’ve got to be doing the income-producing activity and you have to be tracking the effectiveness of it. That’s key. 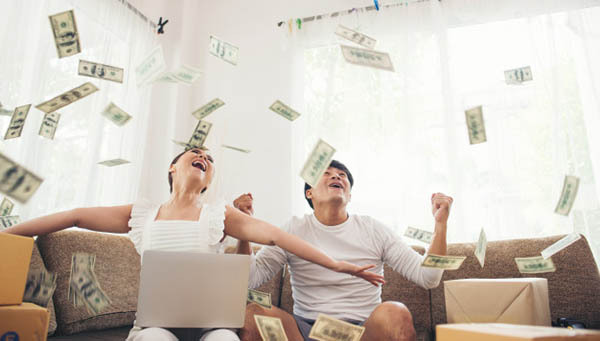 Making sure that you have a very clean, clear plan so that you can be truly building your net worth, and then building your safe to spend like Christmas. Christmas is always the one that cracks me up. People are always surprised when Christmas shows up and then they have to put all these charges on credit cards and the funny part is it happens the same day every year. We can get out in front of it and start saving for each one of those things. Make sure you have the automated systems and structures. Even vacations or if there is a business course that you want to do, have a plan and start automating that so that you can get out in front and be putting those funds away to be able to do each one of those things. I promise you the freedom and peace that it will bring to you to be able to sleep at night, it’s like night and day. Catherine, tell us a little bit about your hedge funds and what’s going on with that as well because I am excited about what you are bringing to the table. You’re a disruptor. We are disruptors. I’m not only a director of a hedge fund, but I’m also a partner. I’m a managing director. Our whole fund is based on the real estate investment space. What’s exciting about what we’re doing is we have currently invested in Airbnbs and that whole space of having vacation rentals. It’s a very broad spectrum. A hedge fund, meaning that it allows us to invest where the numbers make sense inside of the real estate investing world. I don’t know if you heard, but there was an announcement that Trump created these opportunity zones and we happen to be in the Phoenix Valley, which is an opportunity zone. What happens is with the 1031 exchange, you’re rolling money from an investment and it has to be put into another investment in a particular period of time so that you don’t get taxed and you keep growing and growing. What happens is investors have been continuing to roll this money over and their investments are getting bigger and bigger and bigger. Trying to sell that existing investment, find a bigger investment to put this into, that’s been the challenge. What’s happened is because of this opportunity zone that Trump has created is that these 1031 exchange investors can now invest in a fund like ours because we are working in this area. We are making those projects happen. They have a period of time to get that done so that they don’t get taxed. Now, they’re actually in the bigger deals without having to deal with the tax implications and all of that. I would say talk to your accountant, talk to your attorney, whatever it is for you, and dig into what those opportunity zone benefits are. Obviously, we’re one of the people that have created that space so that people can be investing inside of that and take advantages of those tax savings. It’s pretty exciting. Tell us about when your program is starting again, what people are going to get out of it and how we can get in touch with you? My next class starts at the beginning of January. You have two opportunities that you have. If you want to know where you sit financially, you can go to EmpoweredByNumbers.com and take a little quiz and learn more about yourself and where you are financially. If you want to learn more about the course itself and even more about me, if you want, you could go to, NumbersTellYouWhatToDo.com. You can learn more about that, which is very exciting. It’s a great way to start the year and to truly get out in front of your numbers and have this be the best year you’ve ever had. You’re tracking and doing a more income-producing activity than you’ve ever done before in way less time. We love to put out timelines. Thank you so much for being on. We enjoyed having you. I am a successful business owner for the past 18 years. I am highly skilled at creating systems and structures for businesses and homes. My expertise is taking small companies and growing them into multi-million dollar enterprises. I am masterful in mentoring people to set goals and obtain extraordinary results through focused attention and performing income producing activities. Working with numbers is my passion. Every project I take on (and I take on a lot of projects!) is embraced wholeheartedly, and with total dedication. I am committed to empowering people to take ownership of their business(es) and to run them by the numbers (not their feelings).